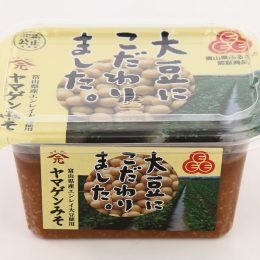 Premium quality miso made with Toyama Enrei Daizu (soybean). Enrei has richer and sweeter taste. Producers of the soy beans printed on the package. Rice is produced in Hokuriku. Salt is get from Japan sea. Best size for trial or small families.